A Ruby and Diamond dress ring in a unique 9ct gold setting. 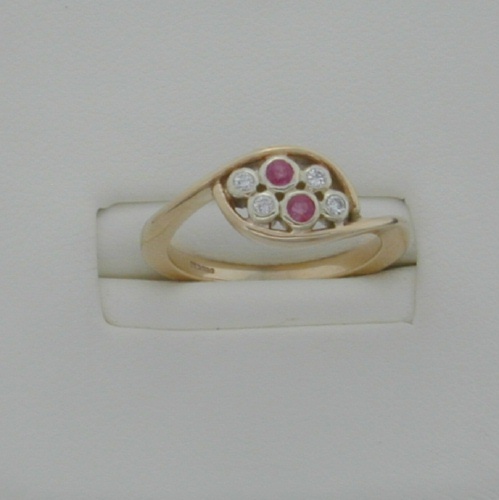 Set with Ruby 2 x 2.5mm and Diamond S1 quality 4 X 2mm. Total carat of the diamonds is 0.12 ct approx.